This bread is awesome! I’ve made it twice. 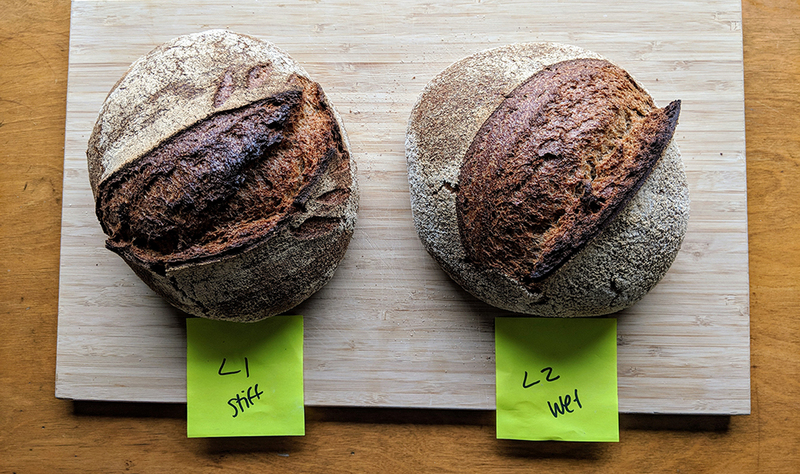 Once with the Red Fife and last night with Spelt because I ran out of flour. I scanned this thread and did not see a post about the ratio of flour to liquid. When I follow the instructions the dough come out soupy using 500g of flour. When I’m mixing I have to add a considerable amount of flour to get the proper consistency. Again if I mix in more flour it turns out great. It so I used it in the bread. 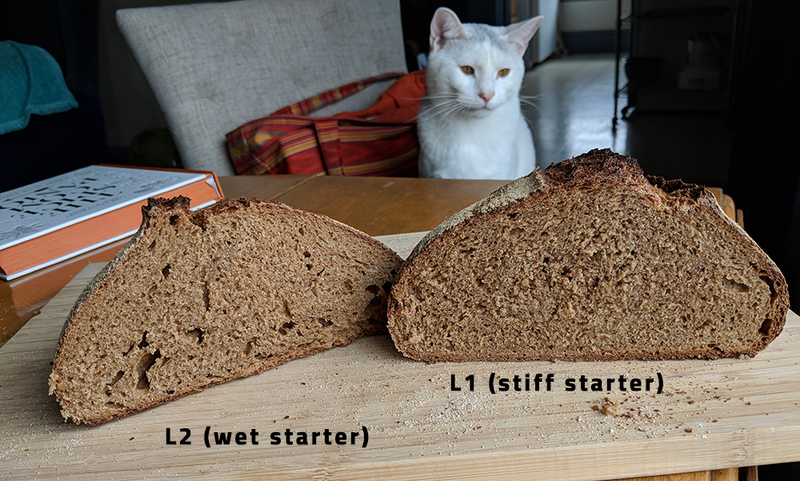 Photos are the first loaf (red Fife) then today’s spelt loaf. Excellent recipe! Had to wait a couple of weeks while I ordered my Red Fife. Followed recipe exactly. Used Sierra Nevada Stout for my beer. Will be doing it again, soon. I’ve done variations on this twice now. 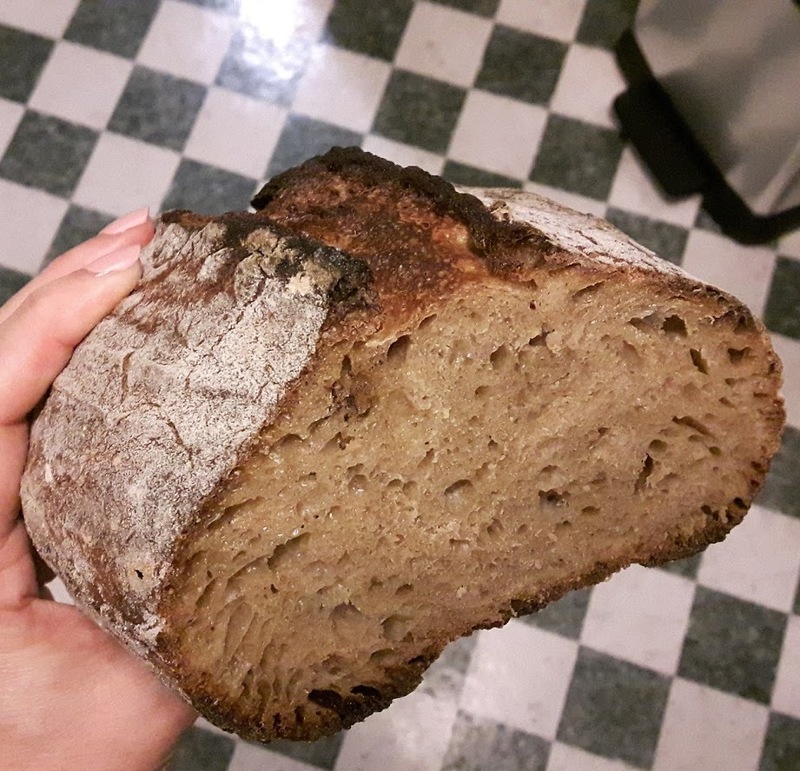 The first time, using a really nice porter, the whole loaf was gone before I could get a crumb shot. 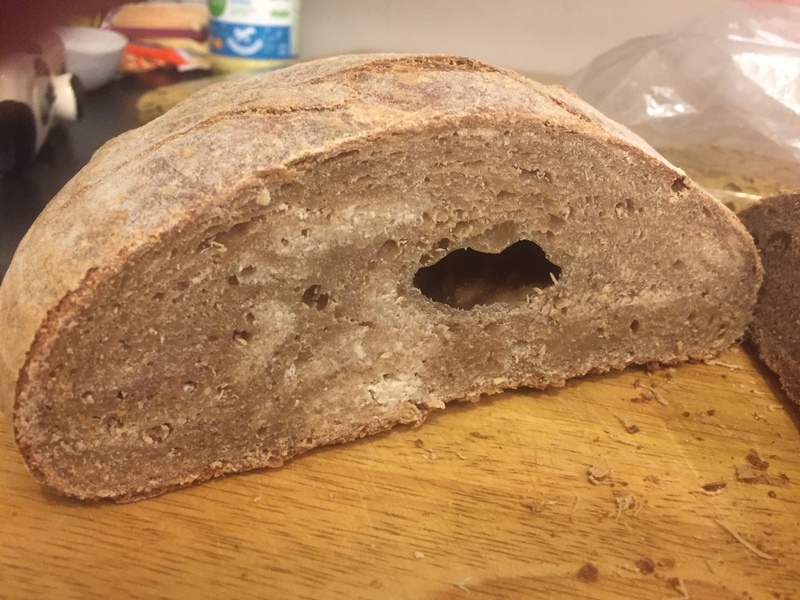 The second time, I put my foot down and barely managed to snap a couple shots of the end of the loaf before it disappeared. Great flavor. Love this recipe. 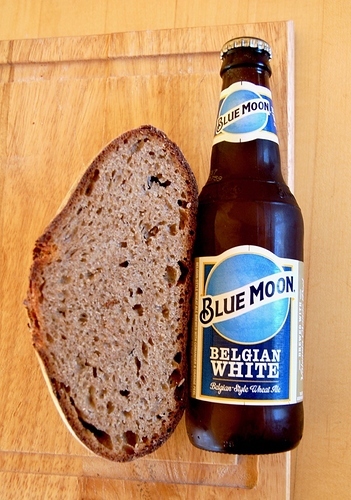 Since I love beer and sourdough bread, this recipe was a must! So I made one With Bavaria Bokbier (6%). I followed the recipe to the letter, so had to open a 2nd bottle for the last 41 grams. As it turned out that translated to half a sip No problem; the rest of the bottle was for me to drink. 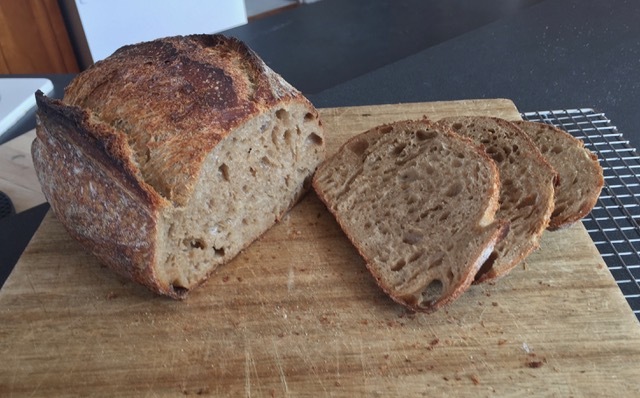 For flour I had 400 grams of T65 wheat and 100 grams of home ground (love my Komo Fidibus 21) local Einkorn. Elasticity of the dough was tremendous! And yes, wet, but I managed. Wonderful smell too. After an hour in the banneton there was no rise to speak of. Put it in the Römertopf and when I took the lid off I found an extra crack next to my scoring. 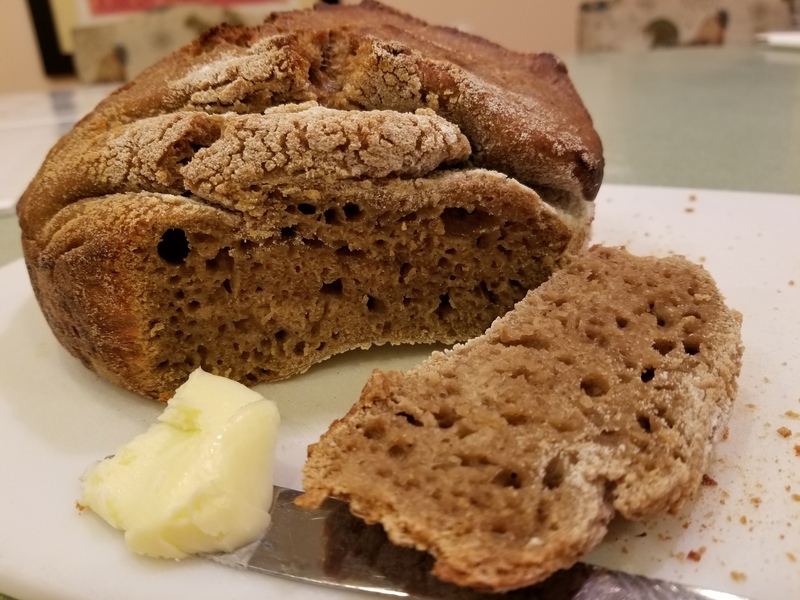 Can I use regular whole wheat flour instead of the red fife? Absolutely. Use whatever whole wheat flour you prefer. Looking at your loaf makes me hungry. I’m still really liking this beer bread, though I’ve adapted the flour combination a bit. Here’s what I’ve been doing. If you have tips for improvement, please let me know. I gave this bread a go tonight. I started it last night, found I had no whole wheat flour, except Graham flour, so I used that. The dough was really wet when I finished! I totally forgot about my basket of rising dough until 8pm tonight. The dough did double, but it was still slop. I almost pitched it, but instead I decided to bake it to see what would happen. I basically poured it into my preheated Dutch oven tossed it in the oven, and let it do what it was going to do. To my surprise it baked very nicely. It’s absolutely delicious! The beer I used was an oatmeal stout made at a local craft brewery. I will order the red fife flour and try it again to see how it turns out. What would be the huge difference if I were to scale to 70% hydration? I did the 80 last week and it was great but very hard to work with. Also, no red fife so i’m wondering how I can sub light or dark rye in here? Rye will likely close up the crumb a bit, and make the dough stickier and harder to handle. I’m sure it’ll be delicious though! 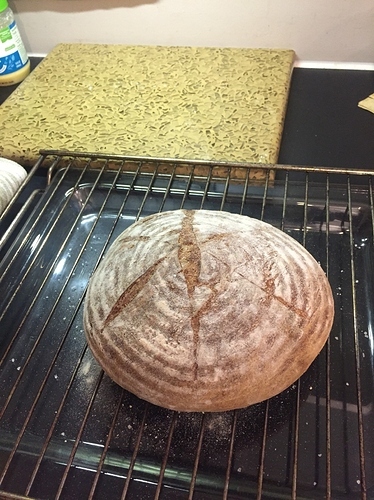 I’m comfortable doing whole wheat. How about lowering it to 70 though? 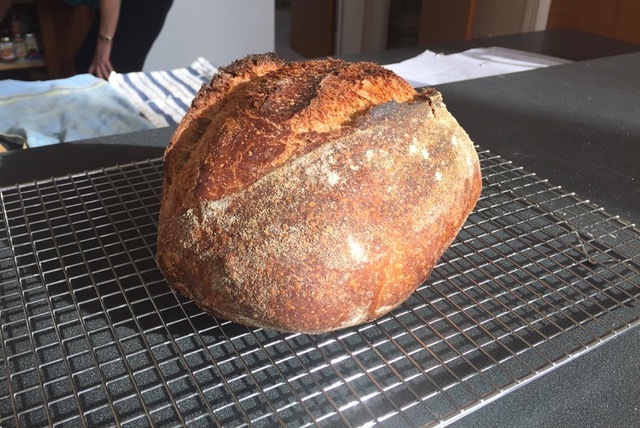 I don’t know how thirsty your whole wheat flour is, and @gsaturley is this recipe’s creator and expert. 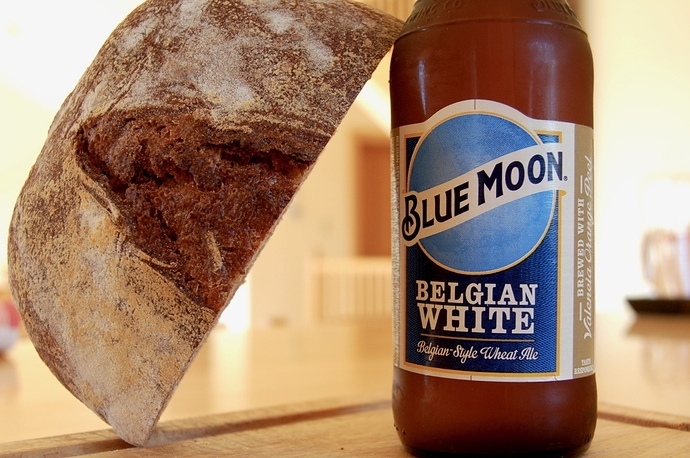 My hunch is you should add the bottle of beer, which puts you at 69% and then as much water after that as you like - as long as the dough doesn’t have dry bits. It’s been a while since the last time I did this excellent bread (I should do it again - the flavor is great), so I can’t remember for sure, but i think when I did it last time I used one bottle of beer with ~ 500g of flour and no additional water which, as Melissa said above, is right around 70% hydration, and it came out great. Loved this recipe. 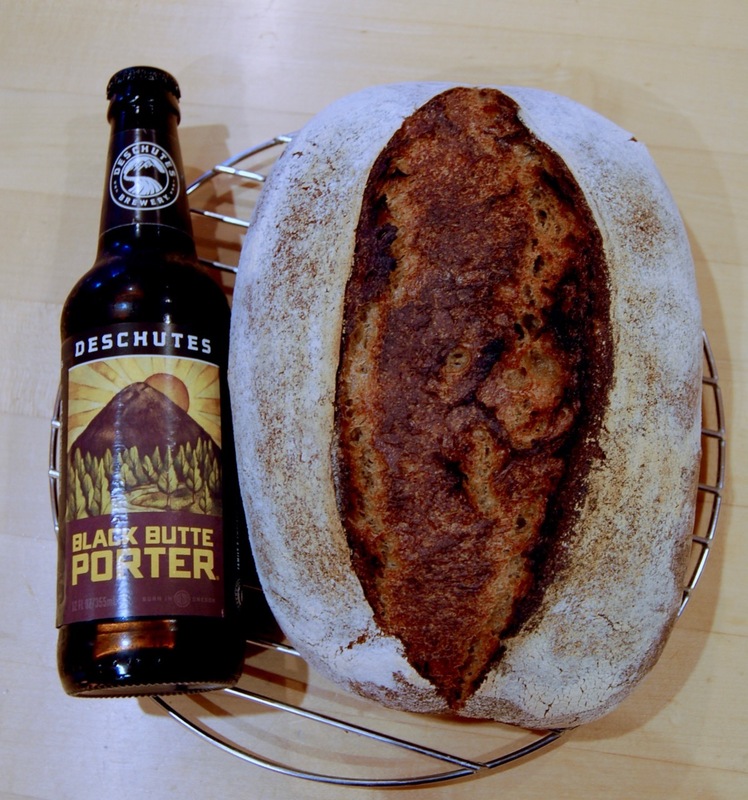 I used Black Widow Porter from McMennigan’s Brewing (from Portland, OR) & freshly milled Fife & Hard White flour with delicious results. 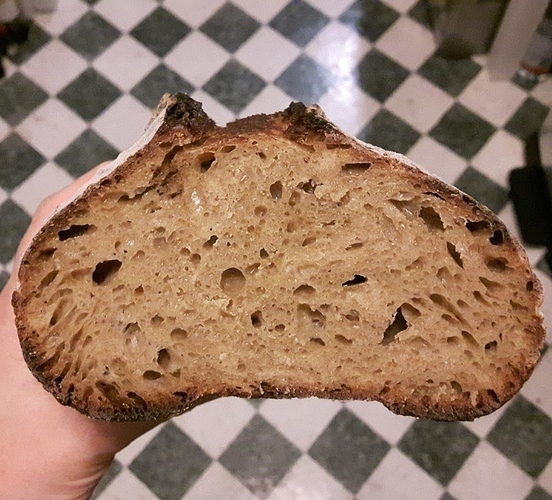 L1 (stiff starter): Had a really dense, delicious crumb & I couldn’t get it to temp over 200. The crust seemed so hard after 25 minutes of baking I didn’t want to push it any further. 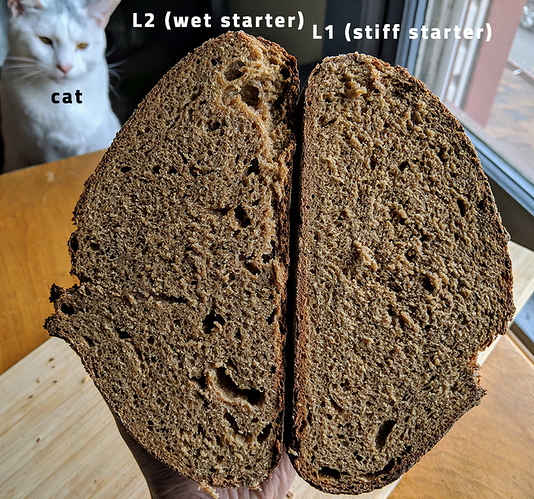 L2 (wet starter): Top was a really dense crumb, but the bottom had some larger holes & tunneling. Believe this is indicative of overproofing, which makes sense given that it is a wetter starter. The aroma of the crumb was purely nutty from the grain & chocolaty with a touch of coffee from the porter. Such a winner. Question would be, what type of starter do you like to use? Any idea what could cause the large holes towards the bottom? In the absence of other info? Thanks for a great recipe. I made this with Guinness Stout. I had to add a water as the bottle only holds about 336g of stout. Made at 80% hydration. Delicious. I am at final rise process in this Beer Bread. Will crank up the oven in a few minutes. Obviously, judging by all the comments, I did something wrong. I thought I was following the recipe to a “T”, but the dough was wet & gooey and didn’t rise overnight (12+hrs.) I did something this morning I’ve never done, and added a yeast mix to the dough to see if I can get a ‘rise’ out of it. I’ll post again after it comes out of the oven. If you could post your process we can help you figure out what to change next time you try this recipe. It could be something simple like overproofing so let me know. 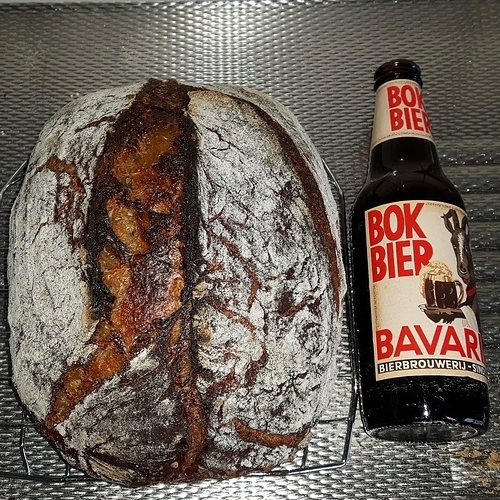 I started by de-carbonating the beer, then mixing the beer with the 500g of flour. The result was as the recipe described; “a shaggy mass”. After it sat the recommended 3 hours, I made up the starter mix and combined it as best as I could with the beer/flour mix. At this point it was still so wet and sticky I could hardly work it (Tar baby syndrome). I continued following the instructions and then let it sit overnight with one attempt after 5 hours to “stretch and fold”. This morning it had not risen much at all. It was at this point that I decided that I had to try to add some yeast to the dough, so using some dry yeast, I made up a half cup of yeast/water/flour mix and added it and more flour (to dry it out a bit). At this point it was dry enough that I put it in my proofing basket for an hour and then baked it. As you can tell from the scoring it hardly expanded at all during baking. At this point I’m turning my attention to my starter, which I feel has lost it’s “drive”, though that doesn’t really explain the overall wetness of the dough. Any suggestions are welcome. I’m considering taking up Curling. I’ve baked some dense bread in my past, but this loaf takes the cake. It weighs in at 975g and is 7-1/4" round by 2-3/4" high. I have to put the fault to my starter which is less than vigorous, so I’m ordering more from you.